Thanks again to everyone who responded to my call for info regarding the ACKS RPG, tons of great information and feedback, The OSR is such a great community! As I work to decide which game I want to run during my summer break from school I wanted to mention a new OSR product that actually arrived in the mail today. "27 Monsters 6 NPC's 37 Drawings! 5 Maps 1 "Megadungeon" sample"
To add to the above info it is directly compatible with most any OSR-flavor you may be running. The author even includes some conversion notes here and there to make it easier for you to use with different OSR games. So as I go through my games, read reviews etc. I know that whatever OSR system I decide on for my summer game, I will be able to easily use the monsters from this book. Have a great Memorial Day Weekend! I'm about to have a bit of a break from Graduate School and would love to run a few sessions of something Fantasy-based before I have to jump back into the grind. 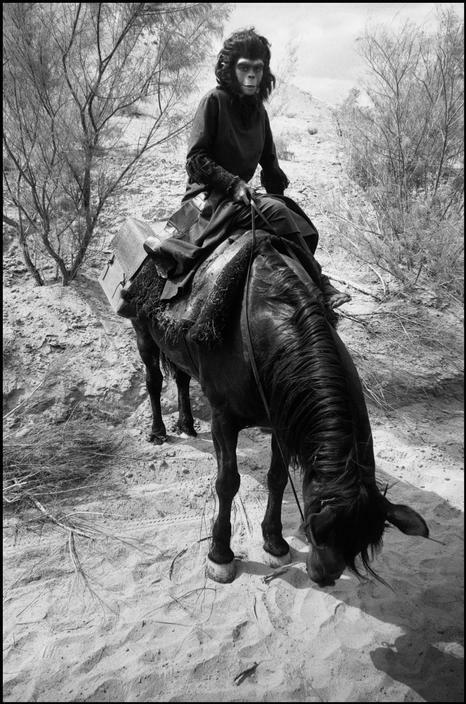 I'm considering giving 5E another shot, but the OSR calls to me. I've been looking at my stack of C&C books and thought about going with that system but it might be fun to try something new, I really love Astonishing Swordsmen and Sorcerers of Hyperborea, but some of my potential players really enjoy playing non-human races. Blood and Treasure is also another great choice a new edition of it is due out "soon". I've been playing in a friend's Friday night Labyrinth Lord (W/ AEC) game so I'd like to run something different for the group. 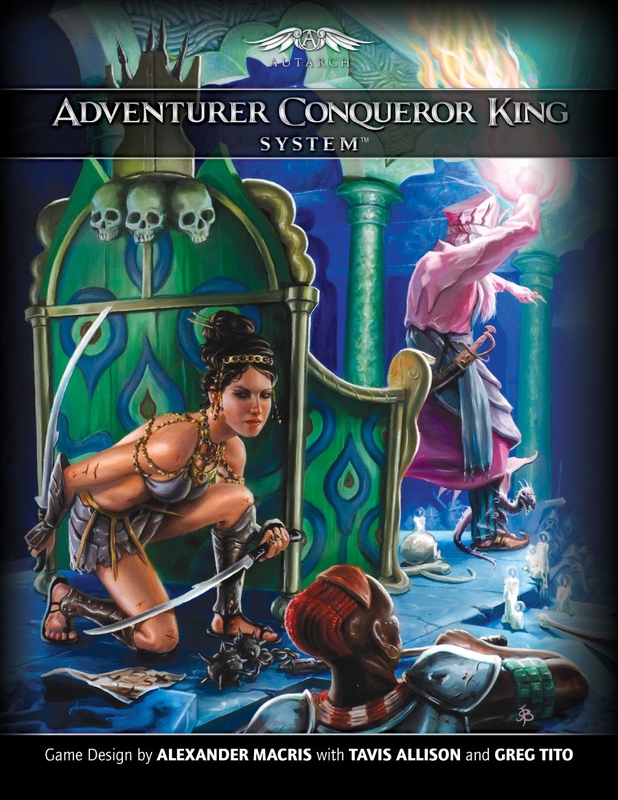 One OSR product that I have never played and don't know much about is the Adventurer Conqueror King System. I'm curious to hear what folks think about it? Any ideas, thoughts or input would be appreciated. My biggest question is from what I have read it seems like you would need the campaign setting to make full use of all of the classes (especially the ones in the companion) is that the case? Or can I use the classes, rules and such from it in my own setting? 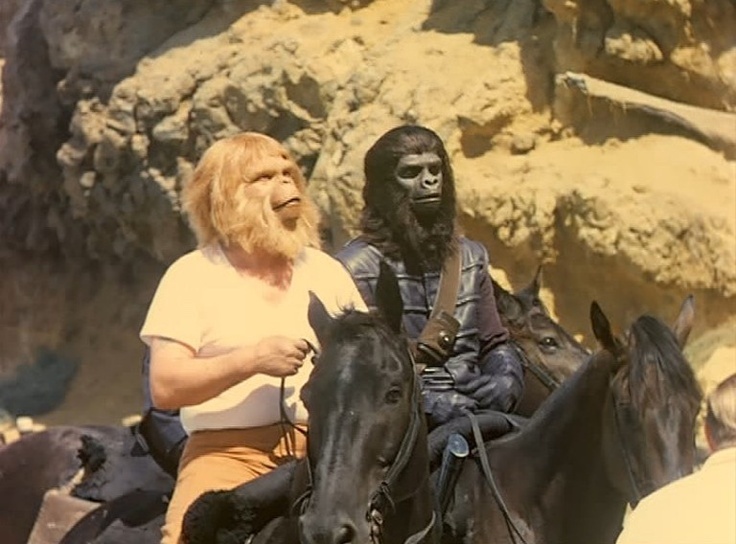 It has been a great Simian Saturday already in the Southern Wasteland. My youngest daughter graduated from High School today. My wife and I just realized we will soon be empty-nesters! WOW! I honestly hadn't even thought about that one. 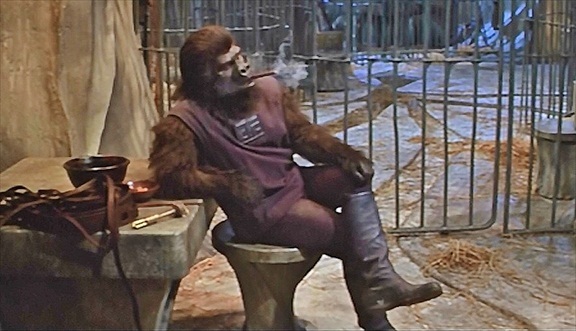 Time to kick back, have a cigar and relax; Simian Saturday Style! Have a wonderful weekend and congratulations to all the graduates! Just wanted to offer a quick simian hello to everyone! It has been a beautiful day in the Southern Radzone today, a very nice Simian Saturday perfect for a ride out in the Forbidden Zone. I hope everyone has a wonderful Simian Saturday and a great Weekend! Try to get some gaming in!! Star Trek meets Planet of the Apes Simian Saturday Style! 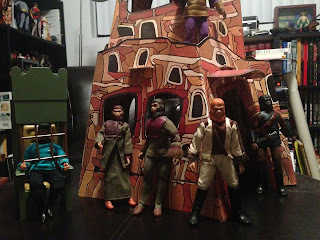 Our Apes Victorious Google+ Group continues to grow and we've had some excellent posts already, really cool considering the Apes Victorious RPG hasn't been released yet. 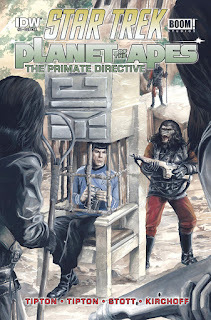 Last year a fun limited series comic came out meshing classic POTA with TOS Star Trek! Since the Apes Victorious RPG will work with Goblinoid Games Starships & Spacemen RPG this comic series seems like perfect inspiration for a crossover Apes/Spacemen game! How cool is that cover?! 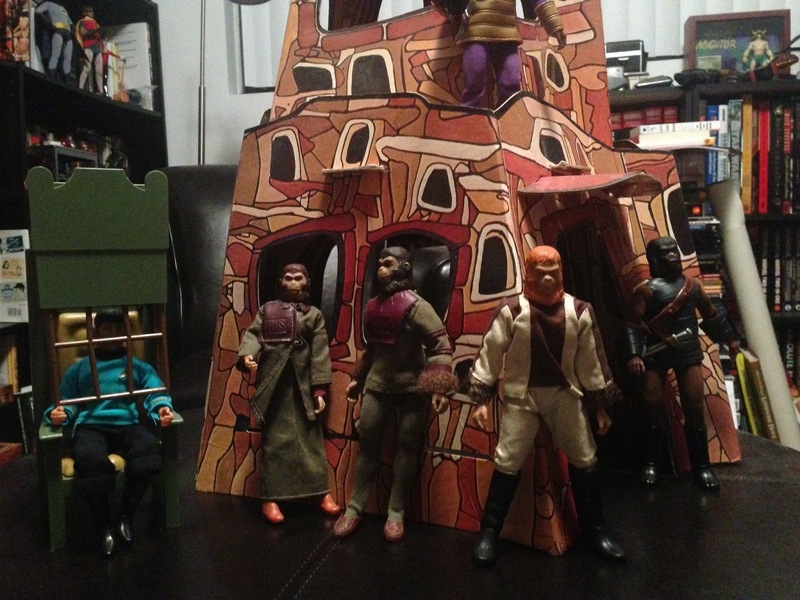 I found a picture of the series co-writer Scott Tipton's Mego collection, check this out! 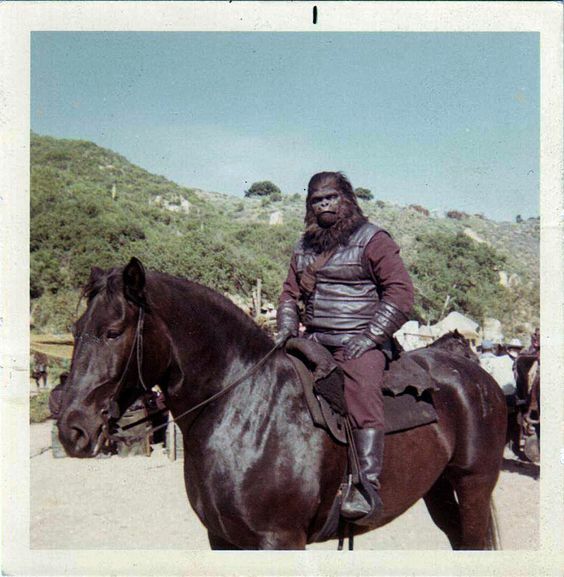 You can see more of his pictures HERE.Have a wonderful Simian Saturday!